Star Trek will not fade from public consciousness. This short-lived television series that lasted only three seasons, from 1966 to 1969, was intentionally created as science fiction entertainment to stir the imagination of viewers who sought relief and escapism from the extraordinary times in which it first aired, marked by violence in the streets, revolution in the air, and uncertainty on the new frontiers. Over time, Star Trek has turned into a homegrown American religious phenomenon that will have cultural traction for generations born long after those tumultuous times and long after the original actors are dead and buried; like the Elvis phenomenon, it is a timeless and transcendent cultural movement instigating widespread religious activity for Americans young and old, rich or poor, Christian or Hindu, Republican or Democrat. While its moral and spiritual message may encourage tolerance for differences (except for those nasty Klingons), place confidence in humanistic ideals of individual rights and dignity (projected out into alien and human forms throughout the galaxies), and excite the quest for knowledge and exploration of outer space (though usually only to find rather earth-bound predicaments around love and revenge, jealousy and camaraderie), two points are unequivocally present in the original seventy-nine episodes: first, science can bring us to new worlds and save us from what is found; and second, no God rules over these worlds. Originally created by Gene Roddenberry, the three-year series has spawned numerous stories and characters. More than that, this television show not only enlivened a cultural industry that rapidly became a dynamic economic juggernaut and now spans the globe, it also established a familiar mythological touchstone that continues to stimulate the popular imagination and developed a vision of reality that has become a model for reality in the lives of millions of devoted fans. 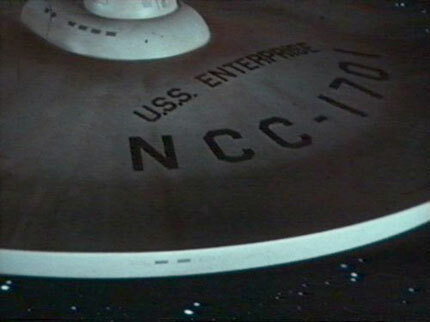 The original series itself, television spin-offs that include Star Trek: The Next Generation, Deep Space Nine, and others, multiple films, fan magazines, conventions, books, novels, dictionaries, manuals, role-playing games, comics, computer games, websites—the endless products and activities that satiate consumers hungry for Star Trek-related phenomena signal more than just entertaining social interactions or over-the-top fanatic behavior. Why did this show strike such a nerve in popular culture and energize religious forms of attachment that did not threaten or contradict the traditional religious identities of Christian, Jewish, or Buddhist fans? Was it the fantastic human storylines that captured the American imagination; the larger-than-life celebrities who played the now-immortal characters like Kirk, Spock, “Bones,” and Scotty; or the far-out worlds and strange alien forms encountered by viewers? Yes, all of that counted, but also perhaps most important for the show’s depth of appeal is the infatuation with, and some might even say fetishization of, science and technology—phasers and warp speed, the Genesis project and time travel—as vital, sacred sources of meaning and possibility in the lives of fictional characters, as well as the fans who bring the fiction to life in the real world. Science fiction is a fixture in popular culture with deep roots in the Western imagination, including such nineteenth-century classics as Jules Verne’s Twenty Thousand Leagues Under the Sea, Mark Twain’s A Connecticut Yankee In King Arthur’s Court, and H. G. Wells’s The Time Machine. As a genre of cultural expression, science fiction disrupts conventionally held boundaries separating science from fantasy. It also generally presents imaginative worlds void of God, even though many stories incorporate familiar, biblically centered religious themes tied to messiahs and saviors, apocalypse and salvation, and resurrection and immortality. But in the fantastic, often futuristic context of science fiction, technology and scientific know-how are more important to mastering the universe than the presence of a Master of the Universe. These fictions are in part a product and an expression of unease and hope, distrust and faith, in a society growing increasingly dependent on the authority of science and decreasingly subservient to the claims of institutionalized religions. Like many other examples in this genre, the power of Star Trek in the lives of fans is intimately linked to the entertaining integration of scientific possibilities and advancements in technology with spiritual aspirations and inspirations in the search for meaning, purpose, identity, and order in contemporary society. It would be easy to disentangle religious themes and predicaments from the stories and characters found in the television shows and films. But even more intriguing are the various ways viewers entangle themselves in Star Trek realities that have nothing to do with scripts or special effects, but everything to do with religious frames of reference and sacred content that offer fulfilling ritual activity, bonds of kinship, and means to personal regeneration. Star Trek conventions, to take but one example of fans blurring the lines between joyful entertainment and religious engagements, are unique gatherings where many followers seek and find meaningful, sometimes funny, but also frequently sad, human experiences. Numerous observers, commentators, and participants use religious language to describe the actions and investments surrounding these conventions. For some it is tied to being with family, identifying with and experiencing an ideal form of community; for some it is immersion in an alternate reality, closer to utopia than the disordered, chaotic worlds left behind; and for some it is on the order of pilgrimage, a journey outside of ordinary time and space, filled with lasting memories, joyful encounters, and embodied transformations. Attending these gatherings inspires legions of fans who realize that even though pilgrims must always, eventually, go back home, there is a variety of ways to keep the Star Trek universe in their own homes, enfolded into the elemental fabric of everyday life. Conventions are only one means to routinize Star Trek investments for dutiful followers. The Las Vegas Hilton has capitalized on these investments that for some verge on the spiritual but for all converge on the dollar. “Star Trek: The Experience” is a special Las Vegas attraction that beckons viewers to become part of the Star Trek universe through the magic of state-of-the-art technology on special missions like “Klingon Encounter” or through a spellbinding backstage tour, “The Experience: Secrets Unveiled,” to see firsthand the technological mysteries behind the $70 million attraction. But even more revealing are the wedding packages available to participants who take the fantasy seriously enough to exchange wedding vows in sacred space—the bridge of the USS Enterprise—and in the presence of sacred garments—Starfleet garb on the presiding officiates. God may or may not be invoked in these ceremonies, but you can rest assured Borgs, Klingons, and crew members will be on hand, in the flesh and in flashy costumes. Death, like marriage, is a rite of passage that highlights and regenerates sacred commitments and identities for individuals and communities. For followers of Star Trek, the ritual actions and mythic language employed after beloved cast members die are particularly poignant and unequivocally religious. When James Doohan (“Scotty”) died in 2005, the grief across the community was both palpable and immeasurable, leading to spontaneous and organized forms of mourning that moved the faithful to demonstrate the depth of their sorrow. A public memorial service is planned at Vandenberg Air Force Base before his ashes are shot out into space, the final frontier, on board a Falcon 1 Rocket—the same destiny as Roddenberry’s remains. Close to ten thousand tributes have been posted at a website devoted to Doohan, whose role as chief engineering officer clearly inspired many to love science and see hope for the future. Doohan the man was fated to die, though his spirit lives on for many. Star Trek, too, is not bound by the material forces that give life in the world of entertainment—flesh and blood, sets and costumes, scripts and cameras—but instead, miraculously acquires a limitless afterlife unbound by the material world, supernaturally vital and vibrant in the lives of followers who continue to find inspiration and hope, community and well-being in this religious popular culture with or without God. This essay is an excerpt from Gary Laderman’s forthcoming book, Godless in America: Religious Cultures in Modern Society, Basic Books, 2008.